Well, now... that was fun! 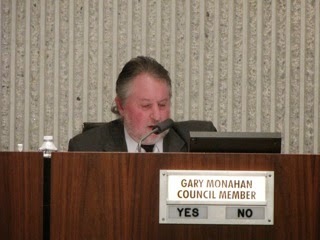 Yes, sir, the Costa Mesa City Council meeting Tuesday night/Wednesday morning was one for the old memory book. So much happened that I almost don't know where to begin... almost. 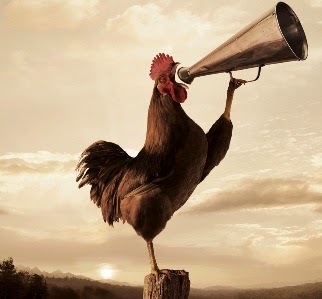 The meeting ran until 12:45 a.m. Wednesday, so I'm going to give you just a little shorter version so I can get to bed before dawn... another busy day is ahead. The meeting began with a report from the Transportation Corridor Agency (TCA), outlining it's recovery from the fiscal abyss and showing the progress being made. It was good news. You can read their information on the two images below. Click on them to make them bigger. Public Comments was VERY interesting. Of the twenty people who spoke between 5:50 and 6:45, nearly one third of them addressed the possibility of Hank Lloyd leaving the Costa Mesa Tennis Club, including Lloyd, himself. In a nutshell, a Request For Proposals for the operation of the Tennis Center was issued and Lloyd - who has operated it for 17 years with great success, putting Costa Mesa on the Tennis Map - found the changes in the terms too backbreaking to attempt to manage. A half-dozen folks spoke on his behalf and at least that many more came to the meeting in support of Lloyd. The upshot was that the council directed staff to look into the situation surrounding the very significant increase in costs to Lloyd - they involved passing through charges for electricity and water that had not been part of the arrangement in the past. 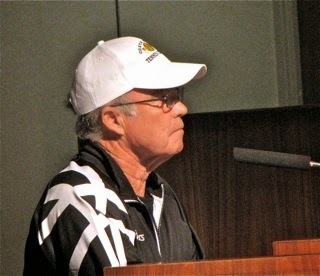 Other speakers addressed group homes; inconsistent planning rules; insufficient data on the Consolidated Plan survey; lack of a Economic Development Plan; the pending demolition of the Costa Mesa Motor Inn and the impact on residents; poor condition of baseball fields; the departure of Communication Director Bill Lobdell to the Irvine Company; the shortage of police and public records requests. During Council Member Comments, Katrina Foley asked for the meeting to be adjourned in memory of Crystal Morales, daughter of CMPD Detective Jose Morales, who tragically died in a traffic accident last week. 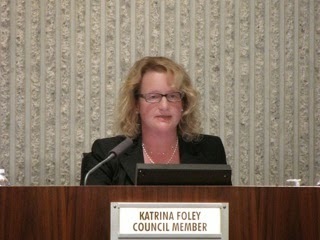 She also spoke of the Young Kim press conference on I-405 Toll Roads earlier in the day; the Hank Lloyd RFP issue; an electronic waste collection at Costa Mesa High School from 10:00 to 2:00; Fire Department staffing; her previous request for a council goal-setting meeting and more. 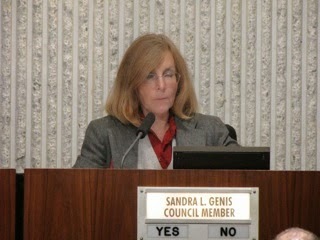 Sandra Genis also addressed the Tennis Center issue and two items on the Consent Calendar. She asked for the meeting to be adjourned in honor of Henry Segerstrom, the visionary creator of South Coast Plaza, who died recently at age 91. 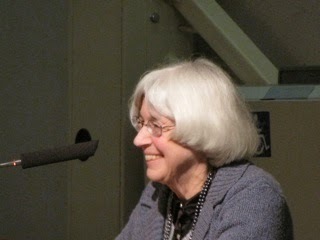 She also mentioned the 70th anniversary of the liberation of Auschwitz. 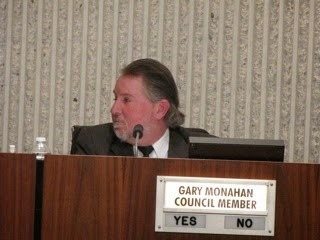 Gary Monahan actually had something to say at this meeting - he pointed it out to me for all to hear... 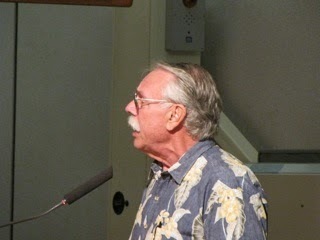 He spoke of Little League and AYSO openings and, in response to an earlier speaker's concern about the Conference and Visitor Bureau funding, misspoke about the Transient Occupancy Tax (TOT), stating it was voluntary. He's wrong... a segment of the TOT - 3% - is voluntary for eleven (11) hotels in town. The city receives 11% from those hotels - it's 8% for all others - then returns the 3% to the Conference and Visitors Bureau for business development purposes. He also mentioned that Costa Mesa Chamber of Commerce President Ed Fawcett will soon retire and an announcement will be made about his party. 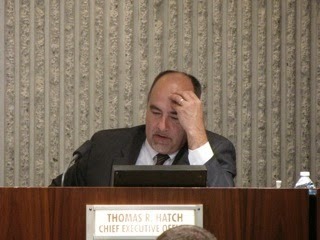 He asked CEO Tom Hatch about Talbert Park, and any plans for Costa Mesa to take it over. He also addressed the Hank Lloyd situation. As it turned out, he should have not said another word. More on that in a minute. Jim Righeimer also addressed the Hank Lloyd situation, kind of scolding Lloyd for not speaking up sooner - the council received his letter Tuesday. 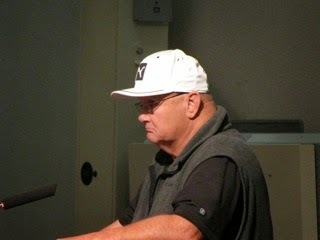 He addressed the Young Kim press conference - he did not attend. He also mentioned the meeting tonight, Wednesday, at College Park Elementary where several members of the city council and staff will discuss sober living homes and the current status of policing. Addressing the latter, he responded to Jay Humphrey's question about Righeimer and Mensinger "pulling out all the stops" to get the CMPD staffed up. He mentioned a letter the council received from the CMPD, which is now on the City Website, HERE. Hatch later addressed this memo, too. Review the letter for yourself and you will find a schedule - "glide path" as Righeimer referred to it - that theoretically takes the CMPD from the current strength of 108 officers to 144 by the end of 2016. Steve Mensinger talked about his history with Henry Segerstrom - he attended his service over the weekend. Apparently his Aunt Peggy - who was the mayor of Modesto - went to Stanford with Segerstrom. He asked Hatch to figure out a way for the City to honor Segerstrom. He mentioned that he will be out of town for the long weekend ahead, going with Hatch to Washington, D.C. for the mayor's conference. He discussed the group home issue brought up by resident Barry Fisher, and mentioned Hank Lloyd, too. He also spoke of the press conference earlier in the day, which he did attend. Four items were pulled from the Consent Calendar for later discussion. 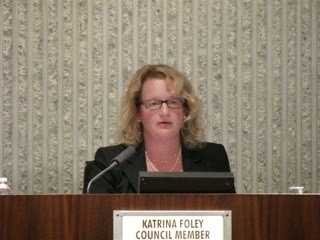 Then the fun began... At 7:47 p.m. Lawyer and negotiator Laura Kalty addressed Public Hearing #1, the extension of the side letter between the City and the Costa Mesa Police Management Association (CMPMA). This should have been a short, sweet discussion, but the wheels came flying off. During the discussion Monahan let slip information about negotiations with the Costa Mesa Police Officers Association (CMPOA) that could have only come from information he gathered in a Closed Session negotiating session and Foley jumped right on it. Trust me when I tell you that finding that section of the video tape is going to be worth your time! 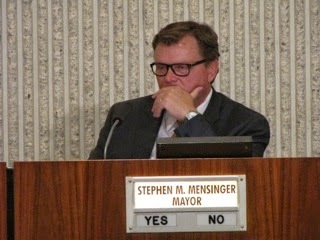 At one point things got so heated that Mensinger actually pounded his gavel on the dais and demanded order be restored. Foley and Righeimer got into a shouting match, exacerbated by her challenge of a legal opinion provided by City Attorney Tom Duarte. 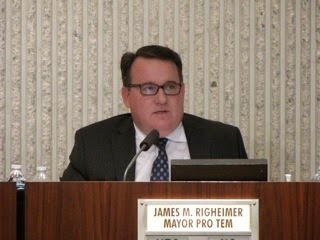 Foley pointed out what she referred to as a manipulation of the process where Righeimer and Mensinger are not supposed to be privy to ANY part of the negotiations between the City and the Costa Mesa Police Association because they are involved in a lawsuit with the association. Foley and Righeimer yelled back and forth at each other and Mensinger finally called a 5 minute break. During that time Foley and Duarte were at the coffee cranny at the rear of the dais and she could be heard screaming at him. When they returned four members of the public addressed this issue. Gene Hutchins, once again, gave his rote rant about unfunded pensions. That issue seems to be like a chunk of spinach he cannot remove from his teeth. Tamar Goldmann expressed concern about hiring laterals because of the hostility between Righeimer, Mensinger and the CMPD. 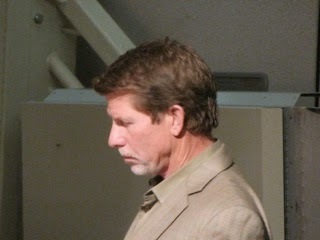 Jay Humphrey expressed consternation at the outburst, and the reason for it. He cautioned council members - he's been there - to just hold their tongues on the dais. Anna Vrska observed that she has experienced some shoddy legal work via Jones & Mayer herself, amplifying what Foley had complained about earlier. 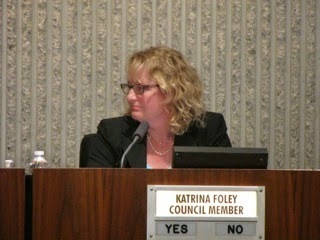 Foley then apologized for her passion on the issue. She is concerned about the confidentiality of the Closed Session and was concerned about liability the City might have as a result of Monahan's gaffe. She expressed concern that the City Attorney was turning a blind eye to the issue, then said there is NOTHING we can do about it. She said it degrades the process and degrades good faith. She told Hatch she wanted an independent legal analysis of Monahan's comment. Genis expressed concern that if, as Duarte had said earlier, Monahan's comment effectively waives the City's confidentiality, she didn't want him waiving HER confidentiality. Whew! This was one for the ages! All that ended at 8:25 and we had four more hours to go! Ugh! Public Hearing #2 was the amendment to the Small Lot Ordinance. Several speakers expressed concern that these modifications were just more developer giveaways. I'm giving you the short version. After a 30 minute discussion during which the parking changes were the primary focus, the council gave first reading to the changes on a 3-2 vote - Genis and Foley voted no. Old Business #1, the expansion of the Senior Commission from five members to seven, took about two minutes and passed, 5-0. 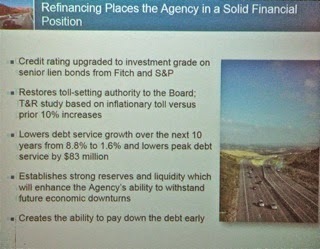 We then launched off into the three Finance-related issues, guided by Interim Finance Director Steve Dunivent. The first was the Financial and Budget Policies, which passed, 4-1, with Genis voting no because of a language issue. 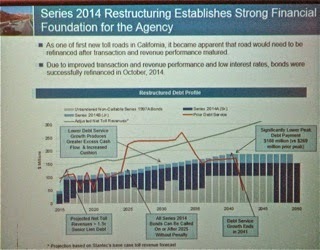 The next was the discussion of the General Fund Reserves Study. Following a 45 minute discussion - during which Foley and Righeimer agreed that the staff report was too conservative - the council passed the plan, 4-1, with Monahan voting no. The staff report was modified to make the Reserves goal $55 million, and the annual contribution to the Reserves $1.5 million, part of which would be the annual repayment of money the State stole from us. That should be around $700,000 each year for the next 10 years or so. The staff report wanted just over $63 million, with up to $2 million annually going toward the reserves. Keep in mind that our reserves were over $73 million before the recession the end of the last decade. The third item was the Mid-Year Budget Review. Among the suggestions by speakers were an accelerated payment of the Fire Side Fund. One speaker was concerned about where the legal costs were paid from, since the Self Insurance fund normally associated with it has been depleted to just about $2 million from $22 just a few years ago. Nobody seemed particularly concerned about that. The council passed the staff report, 4-1, with Genis voting no. The council moved quickly through the "pulled" Consent Calendar items until they got to #8, the Orange County Marathon issue. Righeimer excused himself and left the auditorium because "Scott Baugh is the Chairman and I don't want to hear about it." 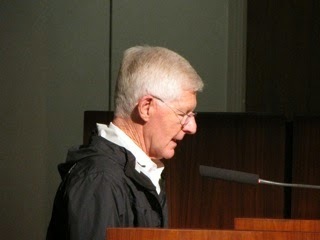 It turns out, based on the testimony by Gary Kucher, who runs the Marathon, that Baugh is NOT the chairman of anything. He is a member of the OC Marathon Foundation Board. Foley wanted to know specifics about the costs to the city for supporting the marathon - specifically, the costs and reimbursement for the CMPD and CMFD. During the conversation it came out that the charges had been reduced a couple years ago, apparently because Costa Mesa charged more than other cities. The discussion took about 30 minutes, but they finally passed the item, 4-0, with Righeimer out of the room and we finally adjourned at 12:45 a.m.! Arrgghh! I am quite concerned that our council majority doesn't seem to care that they have drained our reserves to pre-recession levels. They complain about the previous council "blowing through" reserves when used as they were supposed to be used, for reserves during a downturn, but now this council majority has blown through reserves and other funds at an extremely alarming rate far beyond that of the previous councils. The council majority doesn't seem too concerned about replenishing it either. Sandy Genis pointed this information out on her website and its frightening. Gary really *%$*ed things up last night. There could be huge ramifications for the city. We have a city attorney, who would probably be better suited as an accountant or something. He sure is no attorney. I have never seen a more useless individual in my life. Why is he even here? And once started, Righeimer got his mouth going and just dug the hole deeper. He doesn't know when to shut up. The live feed cut out and I suspect heavy editing on the video that is posted. 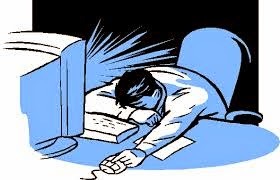 How interesting, the feed stopped during the major hubbub..really? Is this transparency? It also seems odd to me that after that budget report, wherein it was mentioned that we had better take some measures, that even if they hurt a little bit, we need to save some money fast and in a big way, Steve still goes forward with trying to spend $$$$$$$$$ on a stupid survey which sounds suspiciously like a push poll, regarding Fairview Park. This guy is the quintessential blockhead. He wants that sports complex and all else be damned. There is more talk about lights in the parks that already exist, but they don't even seem too keen on that. Makes me wonder if there really is a need? They worry about lights upsetting neighbors but they sure didn't care about neighbors when they inflict 3 story monoliths next to their homes, did they? Steve whined about how much money lighting would cost, etc. Does he think a sports complex is less expensive than lighting or artificial turf? I saw someone comment on Nextdoor that there is a new "pay to play" group in the mix now. So, how much problem is space, really? The school population is down, the youth population is down, and our population is aging. There simply should not be the use demand they indicate there is. Yet, you cannot get a field study out of them to save your life. This just doesn't add up to anything except Mensinger wanting a sports complex with his name in lights. One of the many things I found peculiar about last night’s meeting was Righeimer’s response to Hank Lloyd. I felt like I was watching Don Corleone chastise Amerigo Bonasera (the mortician who requests a favor of Corleone on the Don’s daughter’s wedding day). Can nothing be accomplished in this City without becoming indebted to him or greasing his palm? My opposition to the investment policy is a "language issue" only to the extent that I disagree with what the "language" said. Specifically, the policy provides that the City will make plans for use of the "budget variance" NOT excess revenue. The variance may consist largely of money we thought we'd have to pull out of savings but didn't have to. Under the adopted policy, we'd still pull the money out of savings, whether we needed to or not. Accordingly, later in the meeting and consistent with the adopted policy, the council majority voted to pull $5 million out of our bank account (part of the "variance"), put $2 million back and then called it adding to reserves, though the general fund was depleted by $3 million. I have huge a "language issue" with calling that shell game “an opportunity to increase reserves”. Once again, let me remind everyone, especially Riggy and Mensy, that it was Sandy Genis in 1994 who got suspicious of Bob Citron's money games and had MILLIONS of dollars of Costa Mesa's money pulled out of the county investment pool, thereby saving it from the county's bankruptcy. These louts will help put us INTO Bankruptcy. They may want us to go into bankruptcy purposely to get out of pension obligations. There is a Facebook page friendly to Jim's way of thinking that seems to think this is a desirable solution. Except that bankruptcy will NOT get us out of pension obligations. All these kids that they are hiring right out of the academy have no experience. I'm concerned. It takes a very long time to know and understand what you are facing on the street. If one of these kids makes a mistake it could cost him or someone else their life. So tell me how much money we'd be saving? I think Mr Hutchins needs to educate himself as do so many it appears on the facts of the pensions. The Police first off received their 3% at 50 back in December of 2000. That's over 14 years ago and Foley was not a council member then. When CMCEA received their increase to 2.5 at 55 it was in 2008. Contrary to the claims it was liberals who did this stuff, Conservative Mayor Eric Bever made the motion to approve the enhancement with Conservative Allan Mansoor also voting for it. After the CMCEA enhancement passed 5 to 0, Mayor Bever even praised CMCEA for their understanding of the financial cost to the city because CMCEA agreed to pay whatever the cost were predicted to be at the time. Please note I said predicted to cost at the time. Which by the way included the unfounded cost rise of $4,000,000. We continue to hear more false claims that the unfounded wasn't addressed and all this was done as a consent calendar item while residents were asleep. It not true it was fully presented at 3 council meetings and the unfounded costs were clearly in the staff report. Which makes it sad to hear how it was immediately increased by 15 to 20 million. It was not it was $4.000,000 and it was in the staff report. Even sadder this is repeated by some on the committee. Then In 2010 when the Fireman received their enhancement to 3 at 50 it passed 3 to 2 with Republicans Monahan and Leece voting with Liberal Foley. This means at least 2 of the 3 unsustainable enhancements were granted by Republican leaning councils. Contradicting what we hear that is was liberal elected officials who did this in Costa Mesa. Also keep in mind during the 2010 vote to increase the Fire retirement Allan Mansoor praised CMCEA stating they had done a great deal in thie past to help the situation at hand with pensions and he was appreciative that in this 2010 agreement before them CMCEA was offering to pay their Full share of what was allowed by CalPers. He voted no based on the Fire enhancement but he still wanted to praise CMCEA for their efforts. There is so much misinformation and so many false claims surrounding this issue it's pretty sad because with people just making stuff up to vilify employees so they could turn the residents against these evil employees they could get their votes. it didn't really leave any opportunity or desire for the sides to sit and work it out. Makes you wonder if fixing it was ever really part of the goals. Keeping things hinest andmfactual. As I was thinking back to the events I realized the reasons Allan Mansoor and Eric Bever voted no on the CMCEA and CMPOA contracts before them was that they felt it wasn't enough concessions and picking up of the employees shares. So I reviewed the video of the oct 26 2010 special council meeting and confirmed this. It wasn't because of the Fire enhancement as that was approved before that Oct. 26 th meeting. Eric Bever felt there would be a need for mass layoffs if employees didn't pay more.